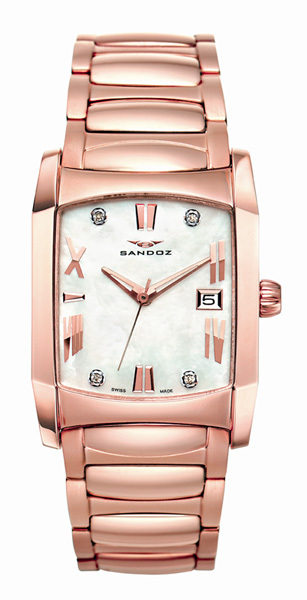 Watch Sandoz Starlight with box IP pink rectangular steel 26mm width of Lady with Sapphire Crystal. Mother of Pearl with 4 brilliant sphere. Bracelet of steel IP rose with closing down. Submersible 100 m.